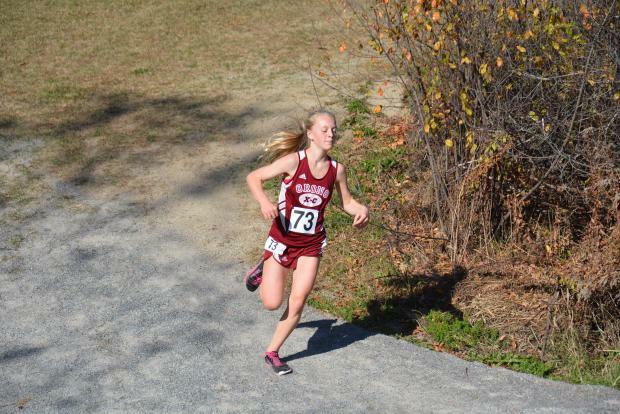 Broughton leads GSA to Class C Northern Maine Title for Girls. The Orono Boys Continue Their Dominance. 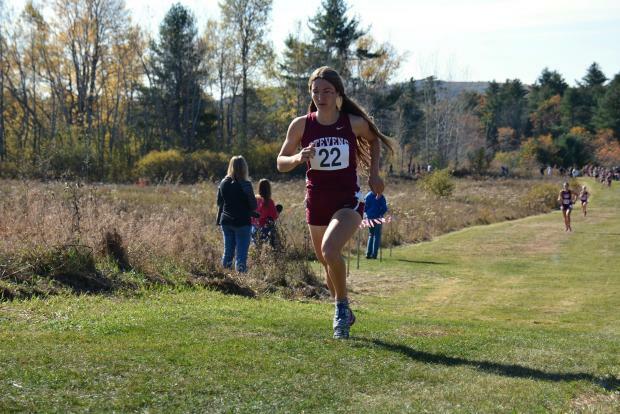 With the unseasonably warm temperatures of an Indian summer pushing into late October, the boys and girls cross country teams of Northern Maine had their chances to punch their tickets for the State Meet next Saturday. The Troy Howard Middle School in Belfast hosted the six 5K races of the Class A, B, and C meets once again with half the teams present advancing to next week's State Meet at the Twin Brooks Recreational Facility in Cumberland. The warm morning started with the girls race in the Class C meet. George Stevens Academy's Eliza Broughton got out to a fast start leaving little doubt. The senior was not planning to concede her final Regional Championship to the first year from Orono High School, Erin Gerbi. George Stevens Academy and Orono High school have been battling back and forth for the Class C crown these last several years. The defending Champion team from GSA took the title again this season with 42 points just edging Orono's 52. Broughton, who has finished in the top five in this race in each of her four years in High School, was part a runner-up team in both her first year and her sophomore year, but led the team to a team championship in 2016 while having to settle for the second spot herself. Fittingly, in her final year, Broughton took first spot for herself to go with a second team title. Joining GSA, and Orono next week at States will be Maine School of Science and Mathematics (85), and Greater Houlton Christian Academy (87). Eight teams put the necessary five runners across the line to qualify for the team title so four move forward to the State meet. These four school took 13 of the top 14 individuals spots. Broughton, who finished in 19:33, established an early lead and, as she moved down the super highway a bit past the mile marker, looked very comfortable with her lead. Other Scorers for GSA were Mary Richardson (7th), Zeya Lorio (9th), Mary Brenna Catus (13th) and first year Grace Broughton (19th). Gerbi finished first for Orono in 19:56 to claim the second spot, and was followed by teammate Camille Kohtala in 3rd. The 4th position was claimed by MSSM's Dolcie Tanguay. Immediately behind her were Bridget Hill (5th) and Grace Graham (6th) of Greater Houston Christian Academy. Rounding out the top ten were GSA's Mary Richardson (7th), Naomi Kihn of MSSM took the 8th spot, Zeya Lorio took 9th for GSA, and the 10th spot went to Madison McCarthy of MSSM. 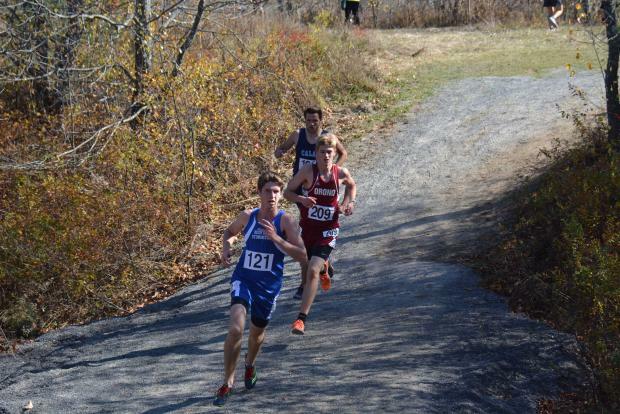 When Brendan Penfold of Deer Isle Stonington used the hairpin turn to sling shot around Orono's Jonathan Steelman and into the lead he wasn't doing it for his team because his team is not big enough to qualify for the State Meet. Lacking the five starters necessary to qualify for a team score, many schools enter the runners they have; their runners will at least be able to compete for individual glory. So when Orono's Steelman took 2nd place and was followed by Teammates Matt Kearsey (3rd), Jonny Spence (5th) Sam Holt (10th) and Tucker Ellis (11th), the Red Riot collected just 19 points. For the seniors on the team, it is their 4th consecutive Northern Maine title. Following Orono in the team scoring and qualifying for the state meet were Geroge Stevens Academy (104), Great Houlton Christian Academy, MSSM, Calais, Mattanawcook and Lee Academy. 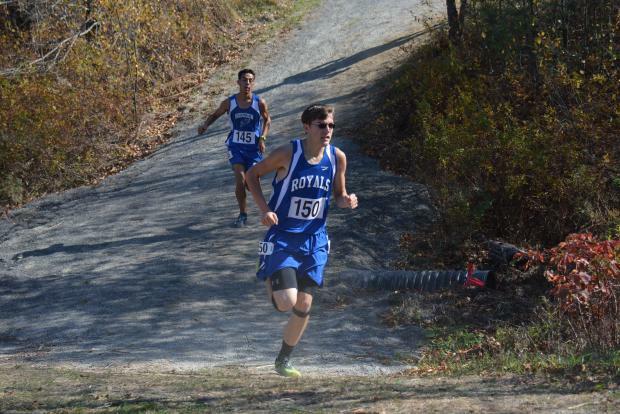 Penfold was the runner-up in this race last year and the senior has won every 5K race he has run this cross country season save the Festival of Champions; he finished 20th there with a personal best of 16:26. He has also won three short course races. Leading GSA to the runner-up team position was 7th place finisher Caden Mattson. Rounding out the top ten was Wesley Ganglfinger of GHCA who took the 9th position.